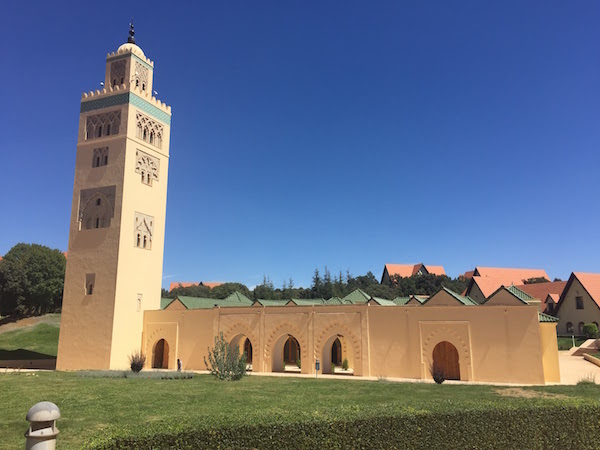 WDI has been selected by the Stevens Initiative to run an exciting program that uses online, collaborative learning to connect University of Michigan undergraduate students with their peers in four North African nations to find entrepreneurial solutions to social challenges in the region, while also increasing cross-cultural understanding and equipping young people with the skills needed to thrive in a 21st century economy. Through a virtual exchange, U-M students at the Ann Arbor, Flint and Dearborn campuses will be teamed with fellow students in Egypt, Libya, Morocco, and Tunisia. Together, the teams will develop and launch social entrepreneurship projects with the help of instructors, mentors, and successful entrepreneurs from Michigan and the Middle East and North Africa (MENA) region. WDI was one of 13 organizations chosen for the second cohort of the 18-month program, which is funded by the Stevens Initiative, an international effort to build career and global competence skills for young people in the U.S. and MENA region by growing and enhancing the field of virtual exchange. The Initiative honors the legacy of U.S. Ambassador Chris Stevens, who devoted his life to building bridges between people from different cultures. The program, the MENA-Michigan Initiative for Global Action Through Entrepreneurship (M2GATE), will support three, eight-week cohorts, with the first beginning in January. Each cohort of 128 MENA students and 64 U-M students will culminate in a virtual competition. Judges will look for scalable solutions that feature science, technology, engineering, and math – or STEM-based – innovations. The MENA students from the winning teams will have the chance to travel to Michigan to interact with entrepreneurs in Ann Arbor and Detroit, and as a team pitch their projects to an expert panel for feedback and further development. The partner organizations in M²GATE include Benghazi Youth for Technology & Entrepreneurship (BYTE) in Libya, Al Akhawayn University in Morocco, and Tunis Business School at the University of Tunis in Tunisia. U-M students selected for the program will attend an orientation meeting as well as debrief and wrap-up sessions at the end of the eight weeks. They will be invited to watch lectures and interactive discussions on WDI’s ExtendEd learning portal on six topics: cross-cultural team building; communication skills; leadership development; introduction to entrepreneurship; design thinking and creative inquiry; and, creating a business model canvas. The teams comprised of students from U-M and students from Egypt, Libya, Morocco, and Tunisia will coordinate times for virtual group work and produce a pitch video as a final assignment. In all, students will spend about 32 hours on the program over the eight-week time period. The unique co-curricular program will equip students with skills in entrepreneurship, team building, innovation and design thinking, cross-cultural communication, international business, problem solving, and critical thinking. “This is a wonderful opportunity for students to work cross-culturally, forge new international connections, and gain exactly the type of 21st century skills needed to succeed in today’s global economy,” said Gillett.